Who: The COMPETITION TEAM is geared towards “Intermediate to Advanced “All Mountain Snowboarders who may want to develop their skills beyond what they have achieved on their own. This program is your opportunity to be involved in an energetic environment that will push your abilities and bring your skills to the next level. The Competition Team is for Riders whose ability levels are at a minimum Intermediate level who want to push the limits of their ability & gain competitive skills as part of a competition team. We will be competing in USASA and US Ski and Snowboard events both locally and regionally. Participants will demonstrate high levels of confidence and positive attitudes towards team involvement. 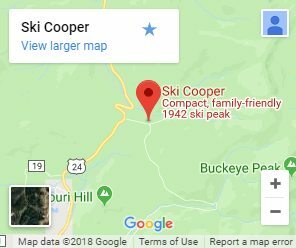 What: The entire mountain is our playground at Ski Cooper. From GS training, to riding man-made & natural features, as well as the Boarder Cross course, you will gain the experience necessary to be a competitive boarder. When: The dates for the program will be on 8 Saturdays from January 12th through March 2nd . The program runs 9:00am – 3:00pm. Competitive Team Candidates must go through a Tryout session prior to enrollment into this program. This Tryout Session is to ensure that anyone wishing to join the program is riding at the required level. If your child is not riding at the Intermediate level, we suggest that you enroll them into our “Grizzly Bear Program” or have them take lessons in our PANDA kids programs. By next season, they will ready to join this program! TRYOUT DATE will be Saturday, January 5, 2019. There is no cost associated with the Tryout session. Candidates will be given a free lift ticket to be used at the tryouts. Arrive at the upper level of the lodge no later than 8:30am. Coaches will have the meeting area well marked. The Tryout session will go out on snow promptly at 9am. Tryouts will end at the base of the double lift at 11am. Parents need to be there by 10:45 to pick up your kids. 10:45am Parents & students meet at the bottom of the 10th Mountain Chair for a fun run. Program Cost: $600 for 8 weeks, which includes coaching at 3 off-site events. An additional short term Competitor License may be required for some events. Call 800-707-6114 or email jmaddex@skicooper.com to register your child.